Yes, wearing the seat belt while driving or sitting on the co-passenger’s seat is the law. Violating this law would fall under the traffic offences and it could cost you expensive fines and penalties. The Seat Belt not just help you from being thrown out of the vehicle or protect you from banging your head here and there, but it also makes the airbags more effective. It ties your body up in a position where the airbags can protect you after a crash. 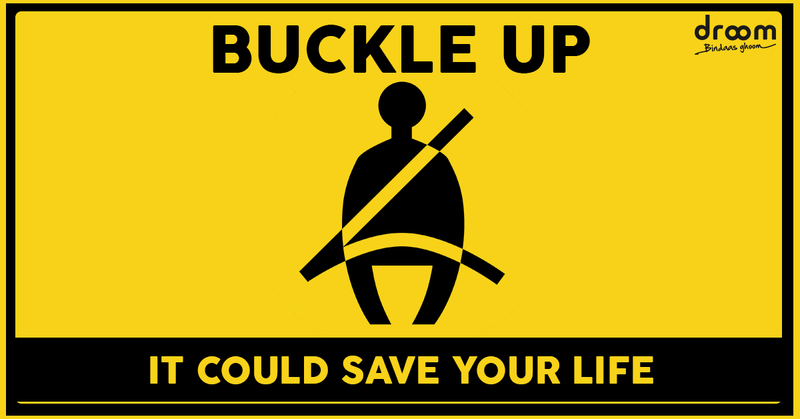 Wearing the seat belt while driving is the first thing that one should do and keep in mind in order to be safe on road. Road safety is the responsibility of every citizen, but there are many overconfident and ill-informed road users who could bring a risk to their as well as other people’s life. Let’s start it from the individual level and be the change we want to see. So, Belt Up!